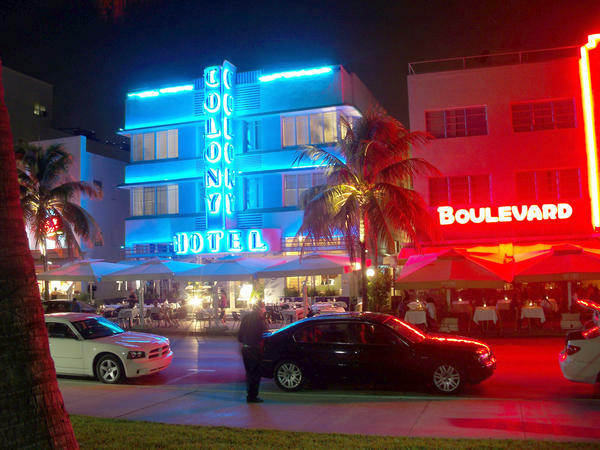 Incidents on South Beach have prompted the city of Miami Beach to take action on spring break. Listen to the March 22, 2019 episode of the South Florida Roundup. The spring break segment runs from 0:00 to 20:00. These incidents prompted the Miami Beach officials to hold an emergency meeting earlier this week. Some city officials want to curb spring break tourism by making it less attractive for partygoers. Miami Beach’s coastal neighbors to the north have some experience with this effort. The city of Fort Lauderdale created a task force in the mid 1980s when they wanted to tone down wild spring break debauchery – and it worked. On the South Florida Roundup, Miami Beach Mayor Dan Gelber explained the city’s approach to spring break. He was also joined by former Fort Lauderdale Mayor Jim Naugle. WLRN: Is the city prepared for another weekend of spring break? DAN GELBER: Yeah, we are prepared. We had 100 more police this last weekend than we did in 2018. But we've even increased that amount another hundred. We're on what are called Alpha Bravo shifts and all of that sounds a little too militaristic for a beach community, but the truth of the matter is probably a couple of things bear correction. The first thing is these aren't mostly college kids. We had about 100 arrests last week. So those that are arrested are not necessarily college kids? We have 600 schools on spring break last weekend. I'm sure a good number of them were at our hotels and on our beaches. Look we have eight miles of beach. It's beautiful beach. Two of those blocks seemed to attract a very severe partygoer that wants to get in a fight or wants to do something. They're drinking. They're smoking pot. That mix creates something that's a little less than savory. Let's talk about some of the measures that you and the commission and the police department are undertaking this weekend, which are different from even just last weekend. No street parking on Collins for instance between Fifth and 15th. You're moving some of the license plate readers that had choked up traffic on the McArthur Causeway and the Tuttle Causeway to and from the beach. You're moving those, changing the times for those to try to open up those traffic places. More officers on the beach and on the street that you mentioned, but also residential boundaries around Flamingo Park and a south of Fifth neighborhoods. Prisoners on your own island. No, I don't think it's prisoners. I think the biggest thing we're doing is we're sending our officers onto the beach and onto Ocean Drive and to enforce our open beverage laws and to enforce our no-smoking marijuana laws. And that's something that isn't done typically. We typically don't have people walking around the beach saying pour it out and they are. They're not arresting people who are drinking. They're arresting people who when they say, Please pour out that drink refuse to, or please put out that joint and refuse to, those people will be arrested. And they are being arrested.